The following list of frequently asked questions has been designed based on real doubts that you have sent us since our birth and its purpose is to provide you with complete information about our products and how we work at VeggieAnimals. Yes. Dogs can be safely fed a 100% plant-based diet without detriment to their health because they are omnivore animals. In fact, a vegan diet is recommended for the prevention of diseases and is ideal for health conditions such as certain allergies and digestive, heart or skin problems. If we look at the feeding behaviour of dogs’ ancestors, the wolves, we find proof of the omnivore nature of dogs. Wolf’s natural prey is plant-eating animals, such as large ungulates, and the first parts wolves eat are the viscera of those animals, which is where partially digested vegetable matter is found. A significant amount of vegetables is therefore present in the wolf’s normal diet. In addition, wolves also eat a variety of fruits, berries and mushrooms. Giving your dog a 100% plant-based diet is perfectly healthy, as well as ethical, since meat-based pet foods are elaborated with non-human grade meats, which in most cases come from sick, deformed or dead animals. Besides, meat products generally contain chemicals from hormones and medicines given to farm animals. Advice: Regardless of your dog’s or cat’s diet, a blood test is advisable as part of their annual health checks. Can cats be fed a 100% plant-based diet even though they are carnivores? Yes, as long as the plant-based diet is nutritionally balanced and complete, and contains all essential components like Vitamin A, Taurine and Vitamin B12. The decision to feed our companion animals a vegan diet is usually based on ethical principles since other animals need to be killed in order to produce meat-based foods. A vegan diet can save many lives. Another reason usually considered when switching our dog’s or cat’s food to a plant-based diet is based on health reasons. Meats used to produce meat-based foods usually come from animals that died from diseases, animals with infections, animals subject to high levels of stress or animals considered “unfit for human consumption”, amongst others. All in all, traditional meat-based pet foods are generally elaborated with non-human grade ingredients and have been found to contain harmful substances like hormones or antibiotics that are passed to our companion animals. Often people are surprised that a cat, which is omnivore by nature, can be fed a 100% plant-based diet, but the same people do not question that the meat in traditional pet food comes from lamb, veal or beef. Cats in nature hunt small animals like birds, rats or even insects, but they would never hunt any of the animals whose meats are used to make these pet foods. What is the source of Vitamin D3 in VeggieAnimals products? Vitamin D3 in VeggieAnimals products is 100% plant-based. Is it necessary to supplement VeggieAnimals diets with vitamins or taurine? No, VeggieAnimals products are complete foods that provide your dog or cat with all necessary nutrients, so there is no need for additional supplementation of vitamins or taurine. Why is the size of VeggieAnimals kibble the same for all dogs? The size of our kibbles has been designed to make digestion easier whether your dog is big or small, and helps prevent dental disease. Because dry food expands in the stomach when it rehydrates, the size of VeggieAnimals kibble is ideal. When it comes to large dogs, they must chew the kibble before swallowing, which helps to keep their teeth healthy, and if they swallow any of it without chewing, the size of the kibble will prevent any problems during digestion even if it swells. Larger kibble can disrupt your dog’s digestion. In the case of small dogs, they must chew the kibble before swallowing, which helps to keep their teeth healthy. Smaller size kibbles are often swallowed without chewing, causing difficult digestions when it swells in the stomach. Therefore it is a mistake to feed a large dog with large kibble and a small dog with small kibble – an intermediate size is recommended for healthy teeth and good digestions on both large and small dogs. How to introduce your dog to VeggieAnimals foods? It is important when introducing a new diet that you do it gradually over a period of approximately 3-5 days so that your dog can become accustomed to the new diet. 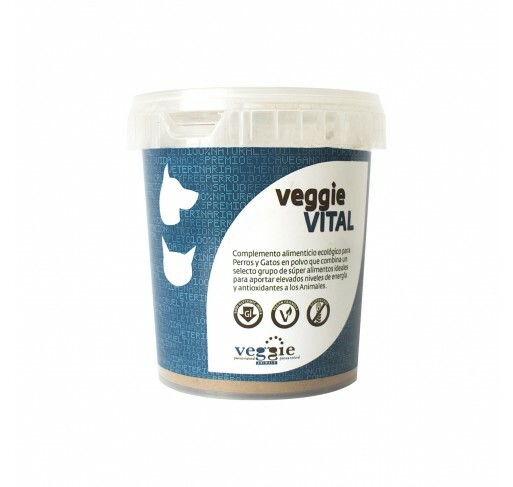 We recommend that you introduce VeggieAnimals by mixing a small quantity with your dog’s current food and then increasing the proportion until you are feeding 100% VeggieAnimals. The key to introducing your cat to VeggieAnimals: be patient and do it gradually. A new food should always be introduced gradually, even more so if your cat is used to a meat-based diet. We recommend transitioning the diet over a period of 1 month. At the beginning cats are likely to prefer their previous food, especially if it contains meat products. This is because most traditional pet foods include additives that are there only to make the food more appetizing and can even become addictive. VeggieAnimals for Cats is a completely natural food, with no added substances that can harm your cat’s health. At VeggieAnimals our main priority is the health of the animals. Furthermore, cats can be very sensitive to changes. Switching to a new diet is a significant change so we need to be very patient and allow plenty of time for a gradual transition. Can I find traces in VeggieAnimals foods? Usually not. 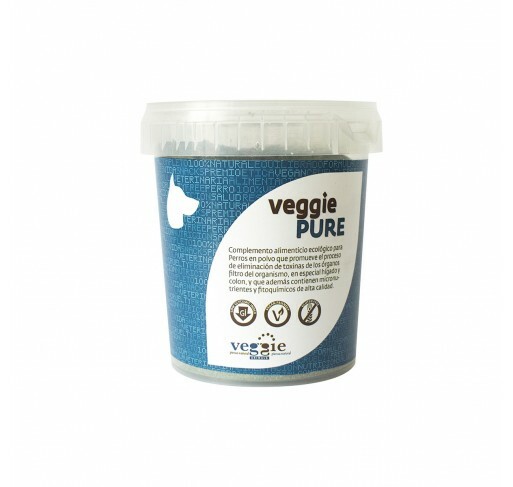 The food production facility where VeggieAnimals products are manufactured is subject to strict controls and its equipment is cleaned before and after every use. However, other food products are manufactured in the same production plant, so traces of other foods might end up in one of VeggieAnimals bags on rare occasions. Unfortunately there are no production facilities of vegan pet food and we have to make do with what we have. How to keep VeggieAnimals products? Please store VeggieAnimals foods in a cool dry place, away from direct sunlight. What is the shelf life of VeggieAnimals foods? Our foods expire 18 months after manufacturing. You can find the expiration date and batch number in each of our products. Are there special discounts for those of us who live with many animals? Yes, we have special offers for those of you who share your life with many dogs. These include discounts and free deliveries. Are there special discounts for animal shelters, sanctuaries, animal welfare organisations and feral cat colonies? One of our main objectives at Veggie Animals is to be able to support organizations that help animals. 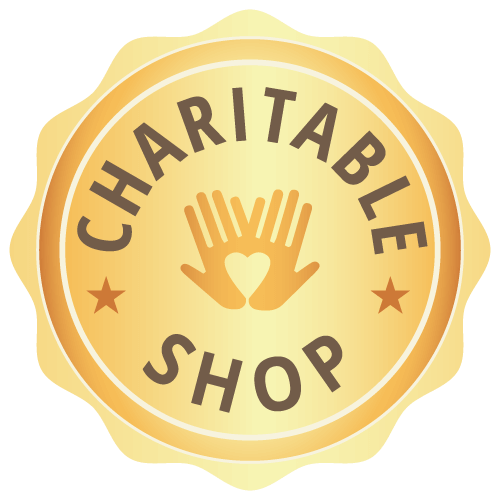 In order to do so we have a special price policy that these organisations can benefit from. Where can I buy VeggieAnimals products? You can order directly from our website. We distribute our products in Spain (including Canary Islands, Balearic Islands and Ceuta), Portugal and Italy. You can buy VeggieAnimals foods from physical or online stores in 23 countries. Fundación Cares takes care of preparing orders. If you place your order before 1pm it will be shipped on the same day. Orders placed after 1pm will be shipped on the following working day. Deliveries are in 24 hours Monday through Friday.